Bait measure just under 7.5". Large diameter of .51". 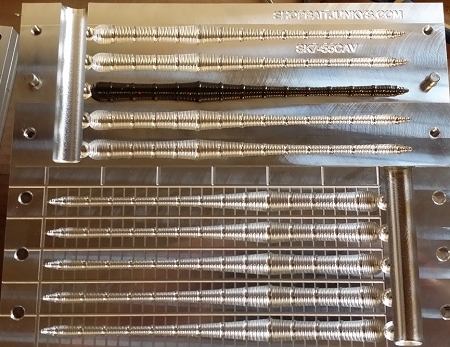 Has a unique ribbing pattern, 5 cavity mold. This is a big bait, should work well weightless. Asked Baitjunky if they could make this item in a top pour since I still heat my plastic in a modified aluminum coffee pot on an electric coil portable burner. They did, and it pours like an absolute dream. And the bait is fantastic. Great action, and poured without salt it stands up enticingly, just teasing the fish to hit it.  I am coming to believe that you cannot go wrong with Baitjunkys, if you need something, just contact them and they will help in whatever way they can.